I imported some data from excel (as csv) to ArcMap. The information from the "excel table" has been joined to my shapes and is shown at the attribute table of every shape/layer. (As you can see below). However, when I export it to GIS online I see the information isn't there. With some research I found out the information is visible at the attribute tables, but it isn't at the fields in the shapefile properties. Is there a way to add the 2006,2009,2010,Total fields from the attribute table to the shapefile properties? I believe that if you export the data(right click the layer in contents pane, data > export data as shapefile... (the shapefile with the joined table) then import that newly created shapefile all the fields will be in your properties. Not the answer you're looking for? Browse other questions tagged arcgis-desktop shapefile attribute-table fields-attributes or ask your own question. Print out the properties of the attribute table in qgis? Is there a way to edit field name, type & length after importing from Excel? Why attribute fields for features appear greyed? 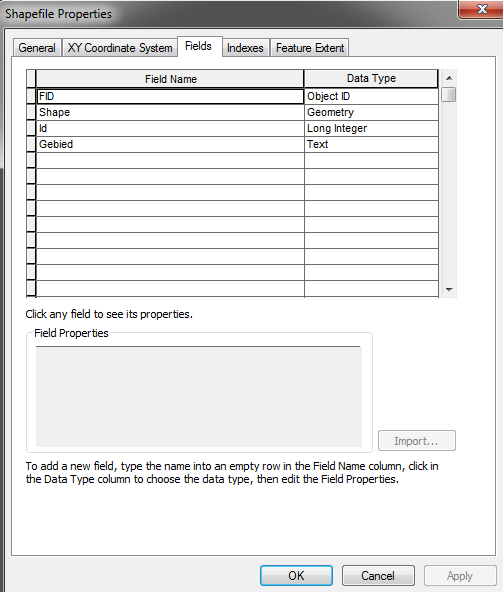 Exporting Field Properties summary report for shapefile or geodatabase layer? 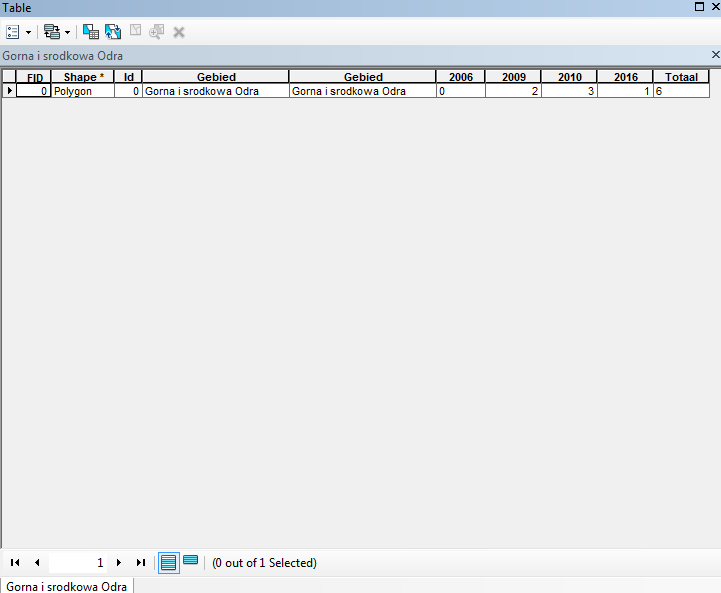 Attribute table of shapefile completely blank and empty after a join - ArcMap - how to recover it?